These stylish Fiat 500L Mats are a great addition to the Fiat 500L, they help to protect the original carpet in the foot wells of the Fiat 500L, as well as adding a touch of style to the interior. 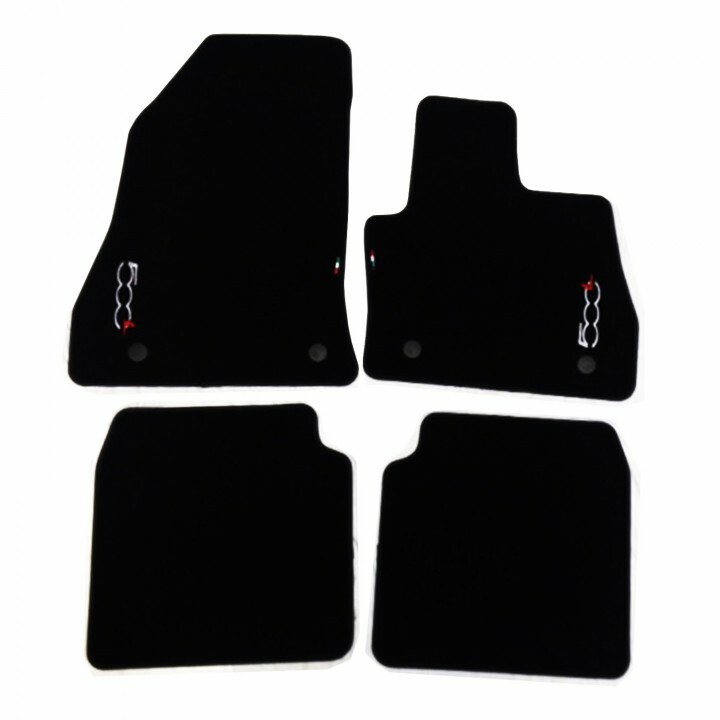 These Fiat 500L Mats are made from Carpet and are Black in colour. They are designed specifically for the Fiat 500L meaning these Fiat 500L Carpet Mats are a great choice for a perfect fit. The Fiat 500L Mats come as a set of four and the front Fiat 500L Mats are personalised with the Fiat 500 Logo in Silver. Why Buy Genuine Fiat 500L Mats? Black with Silver Fiat 500 Logo. Protects Interior Foot Well Carpets. Will the Mats fit my Fiat? The Mats are suitable for the Fiat 500L. If you are still unsure whether the Mats will fit your car then please email us with your Chassis Number.